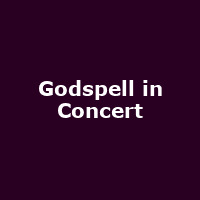 "Godspell, the legendary rock musical from Stephen Schwartz, the Grammy and Academy Award-winning composer of Wicked, is back! Following the critically acclaimed sell-out success in London's West End, the show is returning to the UK in a one-of-a-kind production, with a brand new, modern day rock score that features Light of the World, All Good Gifts and Day by Day. This timeless tale of friendship, loyalty and love has touched the hearts of countless theatregoers all over the world - now you can join in the celebration as a spectacular ensemble stir your soul, raise your spirit and lift you right out of your seat."